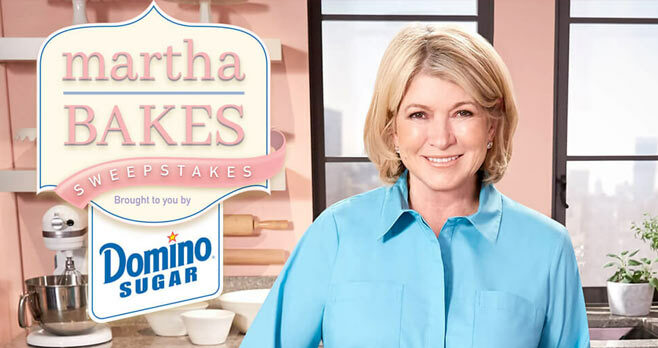 Visit and enter the Martha Bakes Sweepstakes by September 12, 2018 for your chance to win a trip for two to NYC to attend a live taping of Martha Bakes in New York plus an exclusive meet and greet with Martha Stewart. Eligibility: To enter the Martha Bakes Sweepstakes, you must be a legal resident of one of the United States:, and be at least 18 years old at the time of entry. Promotion Period: The Sweepstakes begins at 12:00:01 a.m. ET on August 15, 2018 and ends at 11:59:59 p.m. ET on September 12, 2018. Prize(s): The grand prize consists of a trip for two to New York City, NY to meet and greet with Martha Stewart at her production studio in New York City. My dog, Katie, loves to watch any Martha Stewart cooking show on television with me. She knows that Martha is cooking something good!